Producer Nina Jacboson and our Johanna Mason took to Twitter & Instagram today to let fans know that movie score recording sessions for The Hunger Games: Mockingjay Part 1 have started. Director Francis Lawrence and award-winning veteran composer James Newton Howard, who also composed the scores for the first two Hunger Games films and also known for his work in The Dark Knight, Maleficent and Water for Elephants, are currently presiding the recording sessions at AIR studios in London. This piece of information also suggests that the rough edit of the film is now complete. The scores for The Hunger Games and Catching Fire by James Newton Howard are one of the many things that I personally love the most about both of the films. I cannot wait to hear what Mr. Howard and Francis Lawrence come up with for Mockingjay Part 1 and Part 2. Hearing about this news already gave me chills. 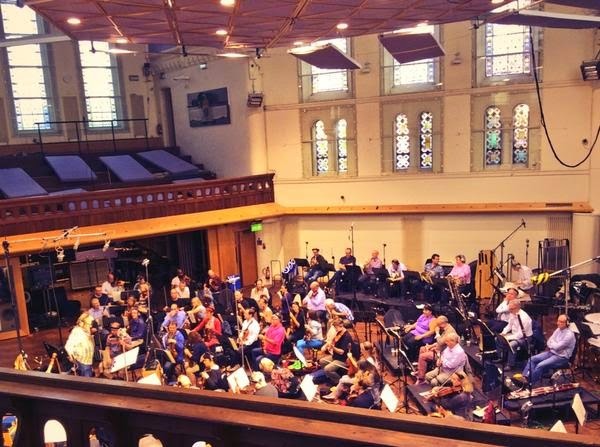 Are you excited to hear the score for Mockingjay Part 1? What are your hopes for the official tune of The Hanging Tree? Tell us in the comments.